Love Luck | Sana Ako si Ricky Lee! Sana Ako si Ricky Lee! Mga samu't saring tunay na kuwento ng isang lalaking nangangarap maging kasing galing ni Ricky Lee! Life’s 8 Aspirations and How to Enhance Them! 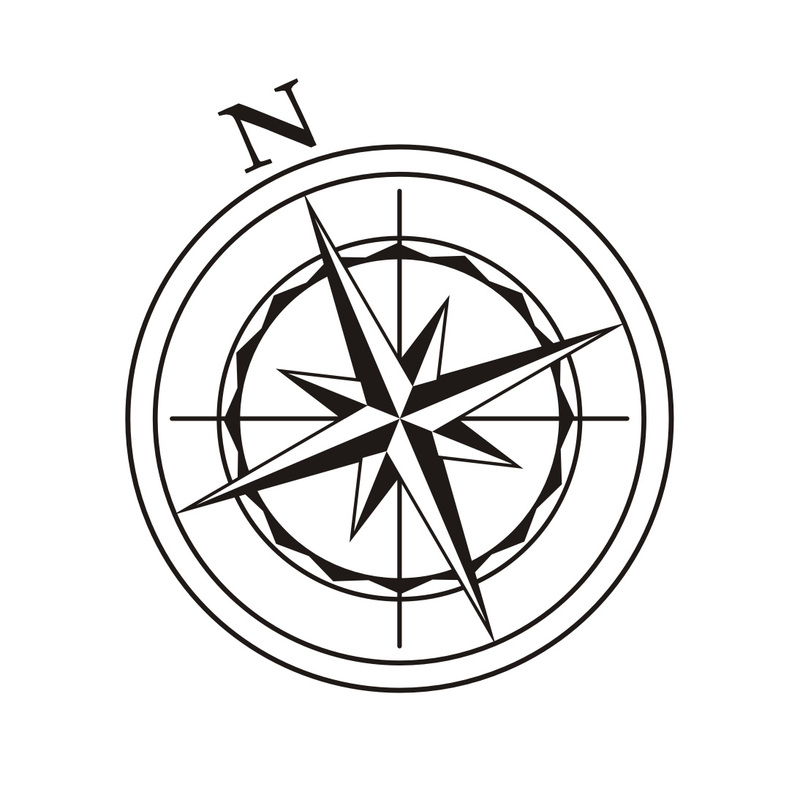 When I decided with Guru Lama that this blog will end and that before it happens I will set out to write more articles that will focus on empowering and teaching you about handling, understanding, and fixing your Feng Shui if it needs to be fixed, I didn’t realize that I was setting up myself for a daunting task. It is very difficult to teach Feng Shui online and to a non – Chinese speaking audience because there are a lot of intricacies in Feng Shui that highly relies on the element of the word. For example, there are words in Chinese that connotes the same thing but because of a minor difference in how it was written would mean that this word is more of a wood element, water element, and so on and so forth. This is also the reason why I noticed that some of my friends who has taken up online Feng Shui courses usually find themselves having more problems, and I stress AT TIMES, because they were not given the minor but yet very important intricacies. Nevertheless, I will still try to teach you as much as I can without putting you at risk in understanding something incomplete which might lead to doing a Feng Shui blunder instead. Today, allow me to share with you in what is called as “LIFE’S EIGHT ASPIRATIONS” in Feng Shui. These 8 aspirations are what makes our life complete and if everything goes well with our life’s 8 aspirations it is said that we will be a happy person and also it means that we have a very good luck or good karma. Our life’s eight aspirations consist of the following: (1) Love or Relationship; (2) Descendant Luck; (3) Mentor Luck; (4) Career Luck; (5) Education / Knowledge Luck; (6)Family / Health Luck; (7) Wealth Luck; (8) Fame / Recognition Luck. Not necessarily in this order, but the ideal situation is that they should all be equal and not imbalance. Although truth be told I seldom see a person who has a very balance 8 aspirations, but this doesn’t mean that it is bad it just means that he has more of the other than the rest. Allow me now to discuss each of the aspirations and how to enhance them on a personal level. First, LOVE & RELATIONSHIP LUCK. We all want to be loved, but this luck is more than finding a romantic love but this controls all aspects of your relationship luck in life. Even family relationship. To enhance this, you can use MANDARIN DUCKS, the DOUBLE HAPPINESS SYMBOL, SURANGAMA MANTRA AMULET(1) or TRADITIONAL SUTRA AMULET(1). Second, is DESCENDANT LUCK. This luck is about having children, grandchildren. But this luck is also about creativity. To activate this luck for descendant luck, you can use an ELEPHANT WITH THE TRUNKS UP, PEACHES, SURANGAMA MANRTRA AMULET(2), TRADITIONAL SUTRA AMULET(2) or VAJRAPANI RUEL(1). For creativity, you can use a SMALL GLOBE. Third is MENTOR LUCK which is sometimes called as the BENEFACTOR LUCK. This luck ensures that you’ll have the support of your parents, bosses, or that people will always come to your help when you are in need, or the type of people that can help you achieve the things that you want to achieve. To activate or empower this luck, wear a gold or jade image of BODHISATTVA SANGHARAMA or carry the VAJRAPANI RUEL(2). The Vajrapani Ruel looks simple, maybe even rustic, but this simple amulet is packed with a special talisman paper inside, with various ingredients, which includes Namtso Salt, soil, various herbs and plants, crystal, and a relic from a high lama. It’s important to put the ruel inside a amulet holder or something sturdy as to not ruin it. If the cloth had tear which exposes or spill the ingredients inside, the ruel becomes useless. 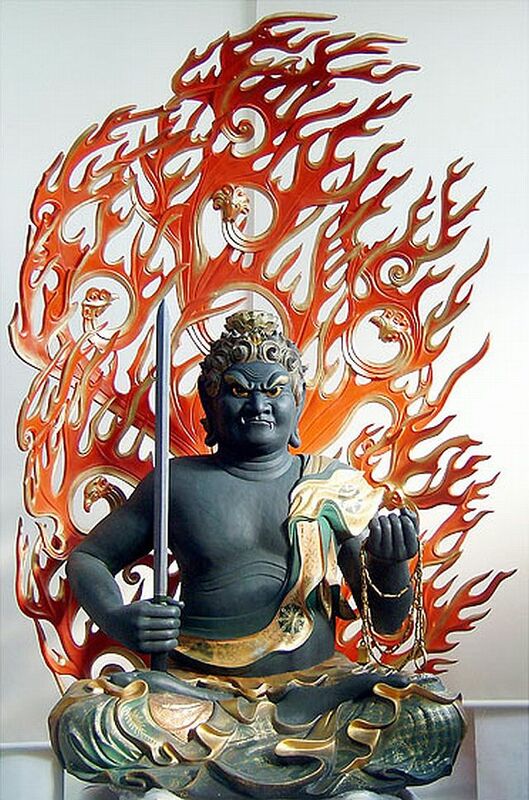 The Vajrapani Ruel itself is only about 1 to 2 inches and it varies from one ruel to another. The Illness Suppression Amulet or Illness Protection Amulet is a special highly consecrated amulet made by my Guru Lama as a cure for the Illness Star a star that also causes accidents. It has the energies of the Medicine Buddha, Namgyalma Buddha, Amitayus Buddha and White Umbrella Goddess. Furthermore, the small black thing you see at the bottom of the glass amulet holder is a Dharma Pill, which is made from a second – class relic of a confirmed holy lama. It also has a small amount of ash from the last Medicine Buddha holy initiation conducted by my Guru Lama, and aside from individual special consecration, the whole amulet was further consecrated under the Tooth Relic of Shakyamuni Buddha. This is a special gold Piyao designed by Guru Lama and made of blessed gold. 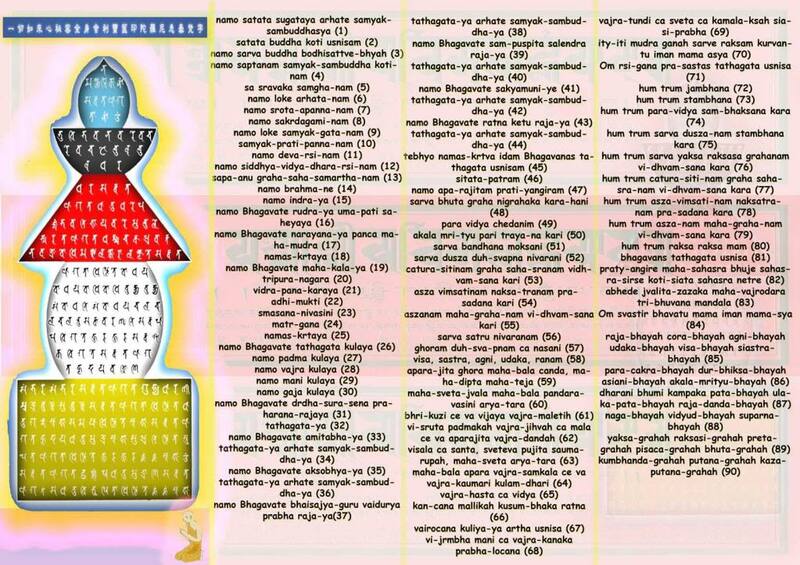 The Vaisavana – Dzambhala Wealth Amulet has the consecrated copies of the mantras of King Vaisravana of the Four Heavenly Kings and the mantras of the Five Dzambhalas. Furthermore, there are some special ingredients in powder form that are included to add to the potency of the amulet. Before it is sealed it is furthered consecrated on the image of The Four Heavenly Kings.It is placed in a metal case, not just for its durability and protection but according to the Tantric Buddhist Scripture book where Guru Lama got the instructions for this amulet, it has to be placed in cylindrical metal case to symbolize continuity and stability. This is a Kalachakra pendant released by Lillian Too. I really love this pendant but find it too expensive. The Kalachakra Symbol is a powerful protection symbol. It is actually ten syllable mantra compressed into one symbol. The mantra is HO HAM KSHAMALA VARAYA HUM PHAT. However, it is usually chanted with OM AH HUM thus making the complete mantra as OM AH HUM HO HAM KSHAMALA VARAYA HUM PHAT. It is because off this that for the WISH FULFILLING AND BUDDHA’S BLESSING MANTRA PENDANT, I decided to put the symbolic script OM AH HUM on top of Kalachakra Symbol. Fourth is the CAREER LUCK. This is quite self-explanatory but I have to add that this pertain to business advancement also. To activate this luck, carry a RUYI with you or carry the VAJRAPANI RUEL(3) and/or the FOUR DHARMAKAYA RELIC MANTRAS & LAMA ATISHA COMBINED AMULETS(1). Fifth is the EDUCATION or KNOWLEDGE LUCK! We don’t stop learning, even if we are already working we need to continue to learn to make sure that we are ahead of the game. To activate or empower this luck get yourself a GENERATOR CRYSTAL made of AMETHYST or CLEAR QUARTZ. Likewise, you can also have a crystal pendulum worn around your neck. Sixth is the FAMILY AND HEALTH LUCK. You may ask why family is included here again, shouldn’t it be in the love or relationship luck. Actually, as mentioned earlier in the article, family is included in the love/relationship luck but it is also here because one very important thing in Feng Shui is family, we need a healthy family and by healthy it doesn’t refer to health as in physical health of the family although it certainly is included also. In Feng Shui, aside from the actual relationships, family is considered as one “being” so it’s health has to be taken care of also. Health also here includes avoiding illness, accidents, and violence. So, to make this luck positively good, it is will be good to carry with you the ILLNESS SUPPRESSION AMULET(1), VAJRPANI RUEL(4), and/or the GOLD KALACHAKRA PENDANT. For the family, it is good to place in the house a TRADITIONAL SUTRA AMULET(3) and/or a SURANGAMA MANTRA AMULET(3). The seventh is WEALTH LUCK. 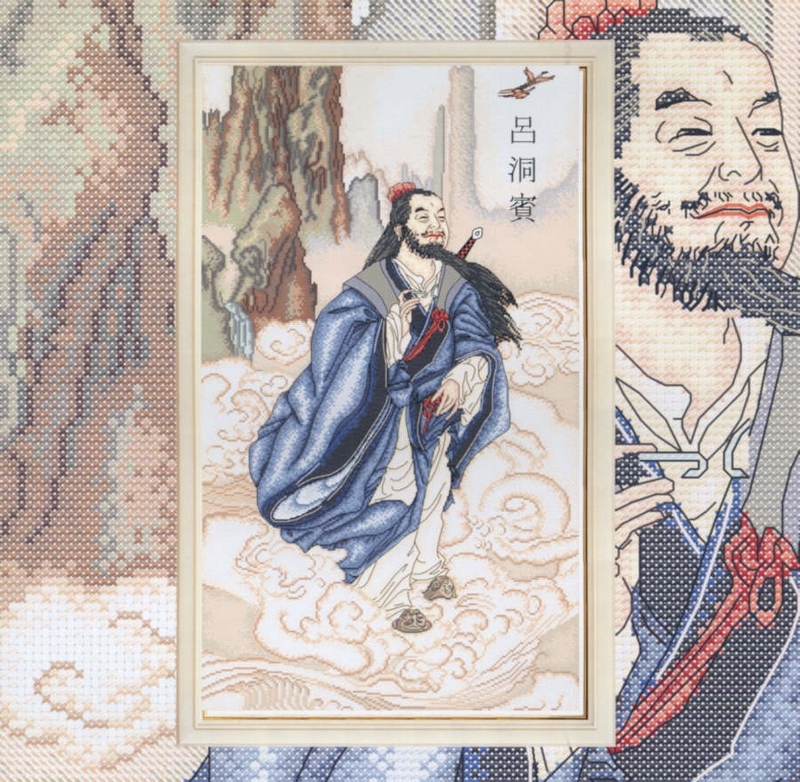 In Buddhism, Taoism, and Feng Shui money is not considered the root of all evil. The root of all evil is our greed. With that in all three, acquiring wealth is actually either encouraged or tolerated. 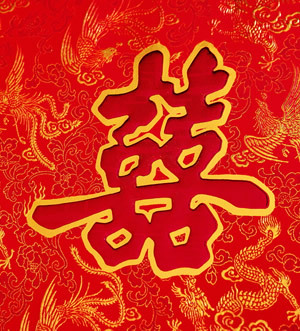 To activate wealth luck, you can read my post entitled – FENG SHUI TIPS TO ENHANCE WEALTH LUCK, FINANCIAL LUCK, AND MONEY LUCK! – but lately and as can be attested by a number of my readers the SPECIAL GOLD PIYAO(1), the VAISRAVANA – DZAMBHALA WEALTH AMULET(1), and the VAJRAPANI RUEL(5) are some of the most powerful wealth amulets that one can have. I haven’t been writing a lot of personal testimonies about them only because of my commitment to focus on empowering articles. And finally, the eight is the FAME or RECOGNITION LUCK. This luck is not just about being famous, but more importantly it is about being recognized. You might say I don’t need to be famous, and obviously those who are famous has a very strong fame luck. But remember, even if one doesn’t want to be famous, we cannot deny that you have to be recognized for your contribution, or for your effort. To activate this luck, one can carry the FOUR DHARMAKAYA RELIC MANTRAS & LAMA ATISHA COMBINED AMULET(2), VAJRAPANI RUEL(6). I’m already putting here what you need here because these are perpetual amulets or cures that one needs for each of the 8 aspirations. How to Further Enhance Certain Energies of the Vajrapani Ruel for the 8 Aspirations Using Crystals (5): Career Luck and Education Luck; Plus How to Strengthen the Protection Energies! When I wrote the first part of this series, a lot of people sent me a messaged asking whether the recommendations that I mentioned here is only true for the Vajrapani Ruel. The answer is NO. This will also work for other amulets. The only reason that I focused on the Vajrapani Ruel here is because this article is in response to the numerous questions I get regarding the Vajrapani Ruel. Today, I will talk about Career Luck and Education Luck. But for those who haven’t read the first part of this post, I have decided to include the introduction here. But if you wish to simply jump to the recommendation, please simply skip the blue text. The Vajrapani Ruel is largely an ‘amulet’ for protection, but like all powerful amulets consecrated under the energies of a certain Buddha or Bodhisattva, which in the case of the Vajrapani Ruel is consecrated under the energies of power qualities of the Bodhisattva Vajrapani (who happens to be the only Bodhisattva to be described as both auspicious and powerful), they will have different qualities that deals with the different aspirations of our life. Specifically the 8 aspirations: Wealth Luck, Mentor Luck, Family and Descendant Luck, Education Luck, Career Luck, Health Luck, Fame Luck, and Love Luck! If people ask me whether the Vajrapani Ruel is a very good amulet to help enhance wealth luck or money luck or financial luck, I always take a moment to reply because the truth is the Vajrapani Ruel is largely a protective amulet but there is no denying that it is so much more than protection, for entrepreneurs or businessmen it gives the winning advantage, for employees it gives recognition and career growth. I can go on and on and on, but the bottom line is that the Vajrapani Ruel contributes to the different aspects of our aspirations. Wealth luck or financial luck or money luck is just one of it, although indeed a lot of testimonies found on this blog even the one those I received in my inbox are about money luck. This can be explained though that it is largely because a lot of the aspirations of those who request for the Vajrapani Ruel are mostly about financial problems. The question though now is whether there is a way for us to enhance the energy that we want to get out of a Vajrapani Ruel? For example, can we focus more gaining wealth luck from the Vajrapani Ruel instead of love luck? The answer is yes. With the use of crystals or semi – precious stones. By putting on the energy that we want to attract, this will naturally be enhanced by the Vajrapani Ruel or that particular energy of the Vajrapani Ruel will be enhanced by a specific crystal or semi – precious stone or precious stone. So from today and in the succeeding posts, I will talk about the different aspirations and how to enhanced the Vajrapani Ruel to focus more on that specific aspiration through the use of crystals or semi – precious stone. But this is not to say that one really needs this to attract the energy of the Vajrapani Ruel? 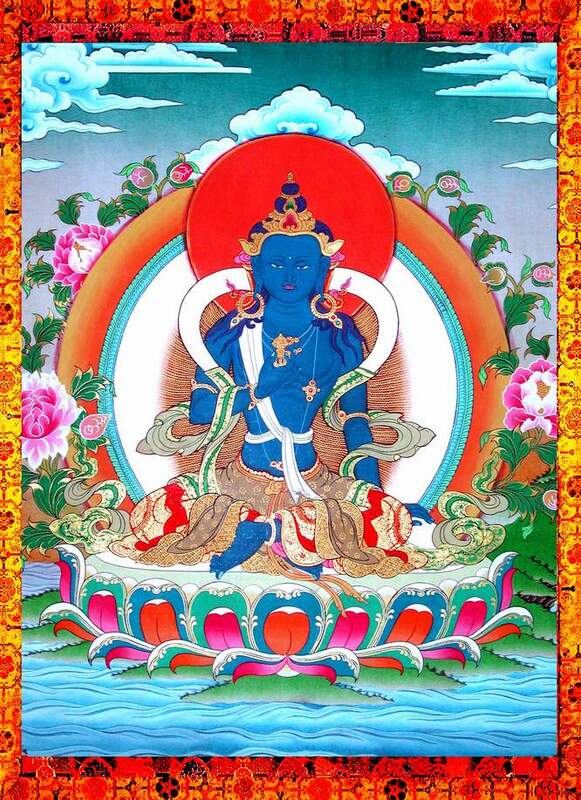 The Vajrapani Ruel is very effective even if you don’t use energy enhancers, proof of this is the numerous personal miraculous testimonies, but using energy enhancers will help strengthen or give a focus on the said energy base on energy enhancer used. As I said, today I will talk about Career Luck and Education Luck. Lepidolite is the best stone to wear to help enhance Career Luck of the Eight Aspirations of your Vajrapani Ruel. You can wear it as a pendant or bracelet. Apophyllite is the best stone to help enhance the Education Luck of your Vajrapani Ruel. You can wear it as a pendant. It is rarely that you can find a beaded Apophullite because it is quite porous. This stone somewhat resembles a claer quartz or a Danburite. Rhodonite worn as a beaded bracelet. Pointed Clear Quartz worn as a pendant. Danburite worn as a pendant. To the untrained eye this stone might look like its a clear quartz. Black Tourmaline worn as beaded bracelet or as pendant. Tourmalinated Quartz worn as a pendant or as a beaded bracelet. Azurite worn as a pendant. Amethyst worn as a pendant or a beaded bracelet. Super Seven Stone worn as a pendant or as a beaded bracelet. The World’s Most Powerful Amulet in the Buddhist Pantheon Called Vajrapani Ruel. The Vajrapani Ruel Stories: The 17th Karmapa’s Relatively Easy Escape; The Miraculous Release of a Tibetan Monk from Chinese Prison and Labor Camp; and The Wealth Luck Bestowed Upon a Repentant Prodigal Son. The Vajrapani Ruel Stories (2): How A Man Got His Land Back After A 20 – Year – Old Legal Bottle. The Vajrapani Ruel Stories (3): Early Karmic Death Was Erased with Good Deeds and the Vajrapani Ruel. The Vajrapani Ruel Stories (4): Received the Needed Financial and Wealth Blessing to Solve Money Problems. The Vajrapani Ruel Stories (5): In the Nick of Time and Money Problems Solved with the Help of the ‘Hated’ Gift. A Reader Receives A Precious Gift from the Abbess of the Lotus Temple and Some Quaint Vajrapani Ruel Stories. Vajrapani Ruel Stories (6): Getting to Work Abroad. 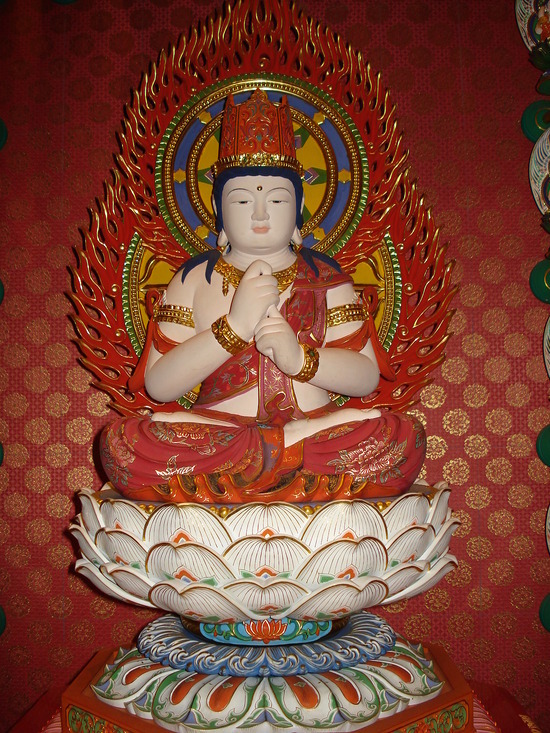 The Kuan Yin with Heart Sutra and the Vajrapani Ruel Helped an Entrepreneur Solved Her Problems. Vajrapani Ruel Stories (7): Miraculous Healing and An Unexpected ‘Miraculous’ Financial and Wealth Luck. Coincidence or Another Vajrapani Ruel Story? Did the Vajrapani Ruel Triggered a Past Life Recall? Vajrapani Ruel Stories (8): Amazing Financial Luck and 5 Condo Units All Because of the Vajrapani Ruel. Vajrapani Ruel Stories (9): Two Bags Full of Money Helps Solve Family Financial Problem. Vajrapani Ruel Stories (10): Simple Miracles But Miracles Nonetheless. Vajrapni Ruel Stories (11): Acquiring A Property, Avoiding Problems Brought About A Natural Calamity, and Life Simply Becomes Easier All Because of A Wonderful Gift of Luck. Vajrapani Ruel Stories(12): Finding Long Lost Father With A Bonus of Finding True Love! Vajrapani Ruel Stories (13): Migrating to Canada and Breaking – Up with the Live – In Partner. Vajrapani Ruel Stories (14): Winning A Contest On A National Television! Vajrapani Ruel Stories (15): 90 Million Pesos Mutual Fund Deal Closed Without A Sweat! Vajrapani Ruel Stories (16): Chased After By Jobs. Understanding the Vajrapani Ruel Stories: Clarifying the Difference in the Miracles and Why The Anonymity of Those Who Experienced It. Expecting A Good Harvest and Temporarily Acquiring A Much Coveted Property: Another “Vajrapani Ruel Stories” and A “Wish Fulfilling and Buddha’s Blessing Mantra Pendant” Personal Testimony. Vajrapani Ruel Stories (17): How A Man Helped His Mother Get Her Land Backed After More Than 20 Years of Trying! 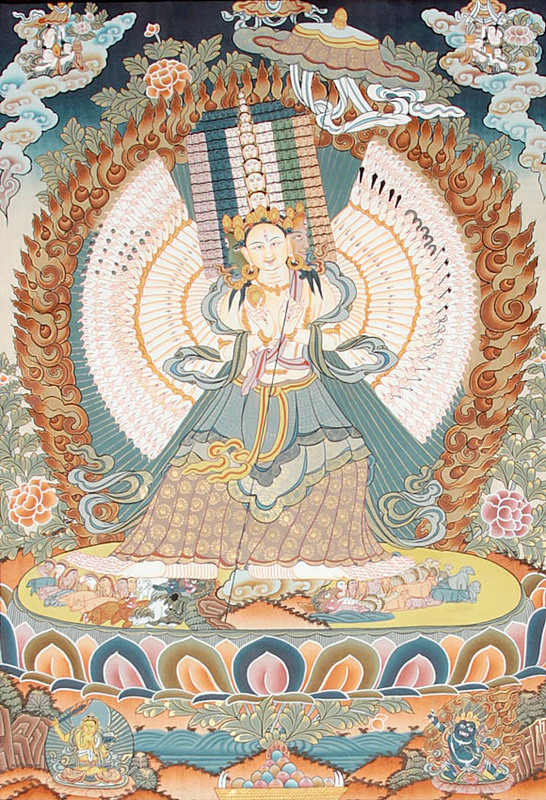 Did the Vajrapani Ruel Manifested It’s Power to A Person Even Before She Received It? Vajrapani Ruel Stories (18): Borrowed Luck Lands Him A Job In A Japanese Company! Did the Vajrapani Ruel Make Him See the Future that Helped Save His Life? Vajrapani Ruel Stories (19): A Difficult Pitch That Ended in a Totally Different But Wonderful Way! Be Grateful for Miracles No Matter How “Small”: Two Simple Vajrapani Ruel Stories and How Those Who Experienced It Are Teaching Us A Lesson About Gratitude. Vajrapani Ruel Stories (20): When A Sales Clerk Unexpectedly Became An Entrepreneur! Vajrapani Ruel Stories (21): Fulfilling the Dream of Having An Uber Car Service Business! A Simple Wish Fulfilled Thru A Simple Vajrapani Ruel Miracle. Vajrapani Ruel Stories (22): Winning A Court Case Against An Influential Family. Correct Diagnosis Because of the Vajrapani Ruel. The Amulet From Within: A Story About How The Vajrapani Ruel Failed to Work and How Forgiveness Did. Counting Money and Counting More Money: Simple and Short Vajrapani Ruel Stories About Readers Who Increased Their Wealth Luck! Vajrapani Ruel Stories (23): Carnapping Case Dismissed Without Prejudice! Vajrapani Ruel Stories (24): Miraculous Wealth Gift Received In Time of Need! Is the Vajrapani Ruel Really An Amulet for Financial Luck and Wealth Luck? Vajrapni Ruel Stories (26): Raising Enough Money to Finish One’s House and an Unexpected Additional Business! A Short But Heartwarming Vajrapani Ruel Miracle Shared By A Reader. Vajrapani Ruel Stories (27): An Actor Experienced A Downpour of Financial Blessing. Another Simple Vajrapani Miraculous Story: How A Simple Request to the Vajrapani Ruel Revealed Evidence of Deceit! How the Vajrapani Ruel Helped Fixed the Flight Problem of the Personal Plane of My Business Client and Publisher! What is the Next Best Thing If You Can’t Have the Vajrapani Ruel? Financial Blessing, Recuperation of Career, Justice from Maltreatment of School Officials – A Story of A Family Who Received Several Miracles: A Vajrapani Ruel and Ing Deng Pay Personal Testimonies of A Reader. The Vajrapani Ruel Brought Blessings to the Children of a Loving Mother. Meeting a Long Time Friend Who Happens to be A Generous Actor: How The Vajrapani Ruel Created An Opportunity that Helped Solve a Financial Problem! Wealth and Money Luck “Delivered Right At the Doorstep”: A Simple Vajrapani Ruel Miraculous Story! How to Enhance the Eight Aspiration Energy of Your Vajrapani Ruel Using Crystals (1): Wealth Luck! How to Enhance the Eight Aspiration Energy of Your Vajrapani Ruel Using Crystals (2): Love Luck! How to Enhance the Eight Aspiration Energy of Your Vajrapani Ruel Using Crystals (3): Mentor Luck and Family & Descendant Luck! How to Enhance the Eight Aspiration Energy of Your Vajrapani Ruel Using Crystals (4): Fame Luck and Health Luck! How to Further Enhance Certain Energies of the Vajrapani Ruel for the 8 Aspirations Using Crystals (4): Fame Luck and Health Luck! Today, I will talk about Fame Luck and Health Luck. But for those who haven’t read the first part of this post, I have decided to include the introduction here. But if you wish to simply jump to the recommendation, please simply skip the blue text. As I said, today I will talk about Fame Luck and Health Luck. But before I talk about Fame Luck, allow me to clarify here that Fame Luck does not really refer to being famous only, but it also controls one’s recognition luck. This is quite important for employees, so that your boss or the management will recognize your efforts or contributions. Ruby worn as a ring or pendant, but you can also wear rough Ruby as a beaded bracelet. Amethyst beads worn as bracelet. Tanzanite is also a very powerful stone that helps the fame or recognition luck of a person when partnered with a powerful amulet like the Vajrapani Ruel. (Red) Garnet bead worn as bracelet. Charoite is a lesser-known but powerful stone which I’m going to write about extensively in the coming days, but for now it is good to know that this is a powerful Fame or Recognition Luck enhancer when partnered with a powerful amulet like the Vajrapani Ruel. It is much harder to write about specific crystals to help enhance your health luck, because almost all crystals has a strong health luck component, it simply varies on what part of the body it affects. But for the purpose of this article, I will only write about the ones that have an overall health effect. Jade especially if carved in a shape of a Wu Lou (Wulou) or Holy Gourd. Gold Rutilated Quartz beads as bracelet. Green Garnet beads worn as bracelet. On my succeeding post, I will talk about the last 2 remaining aspirations, which is Career Luck and Education Luck. Plus a bonus of enhancing the protection qualities of your amulet, especially the Vajrapani Ruel. How to Further Enhance The Eight Aspiration Enegies of Your Vajrapani Ruel Using Crystals (3): Mentor Luck; Family & Descendant Luck! Today, I will talk about Mentor Luck and also about Family & Descendant Luck. But for those who haven’t read the first part of this post, I have decided to include the introduction here. But if you wish to simply jump to the recommendation, please simply skip the blue text. As I said, today I will talk about Mentor Luck and Family & Descendant Luck. Clear quartz crystal either as beads for bracelet or Star of David pendant. Amethyst beads as bracelet or Star of David pendant. 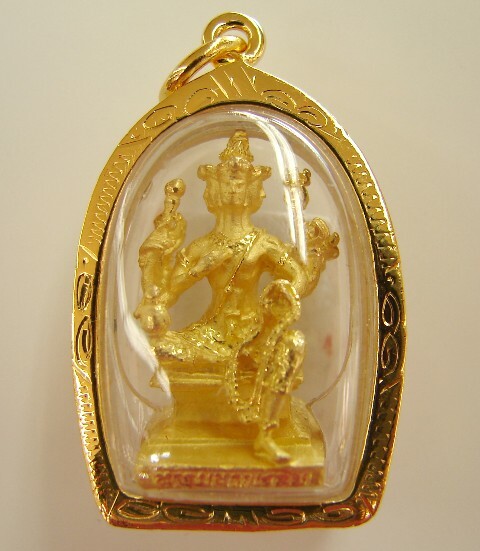 Jade pendant carved in the image of a Kuan Kong or Kuan Yin. Orange colored stones like carnelian or orange lace agate. On my succeeding post, I will talk about the other 7 aspirations namely: Fame, Career Luck, Education, and Health Luck! How to Further Enhanced the Eight Aspiration Energy of Your Vajrapani Ruel Using Crystals (2): Love Luck! Today, I will talk about Love Luck. But for those who haven’t read the first part of this post, I have decided to include the introduction here. But if you wish to simply jump to the recommendation, please simply skip the blue text. As I said, for today I would like to talk about Love Luck. Rose Quartz (better if its in the shape of a Mandarin Duck). Wearing these stones together with your Vajrapani Ruel will enhance your luck luck aspiration of the Eight Aspirations, but note that for love you might want to further enhance its energy by using the Surangama Mantra Amulet! So far I have written about enhancing your Wealth Luck, and today I wrote about enhancing the Love Luck of your Vajrapani Ruel or Surangama Mantra Amulet or any other amulet. In my succeeding post I will discuss the other Eight Aspirations. How To Further Enhance the Eight Aspiration Energies of the Vajrapani Ruel Using Crystals (1) : Wealth Luck! The Vajrapani Ruel is largely an ‘amulet’ for protection, but like all powerful amulets consecrated under the energies of a certain Buddha or Bodhisattva, which in the case of the Vajrapani Ruel is consecrated under the energies of power qualities of the Bodhisattva Vajrapani (who happens to be the only Bodhisattva to be described as both auspicious and powerful), they will have different qualities that deals with the different aspirations of our life. Specifically the 8 aspirations: Wealth Luck, Mentor Luck, Family and Descendant Luck, Education Luck, Career Luck, Health Luck, Fame Luck or Recognition Luck, and Love Luck! For today, I will like to address the most common concern of people who request for the Vajrapani Ruel. Wear citrine crystal beads on your receiving hand. To determine which is your receiving hand, you simple have to know whether you are right handed or left handed. If you are right handed your receiving hand is your left hand and if you are left-handed your receiving hand is your right hand. Wear jade beads as a bracelet or wear it as pendant. If wearing it as a pendant, it will be better if your jade is carved with an image of the Happy Fat Buddha (Maitreya Buddha) or Kuan Kong. Wear Malachite beads on your receiving hand. Put a sunstone beside your Vajrapani Ruel. On my succeeding post, I will talk about the other 7 aspirations namely: Fame, Love, Descendant and Family Luck, Mentor Luck, Career Luck, Education, and Health Luck! Malachite: A Crystal that Helps Enhance Love Luck Especially to A Grieving Heart! We all know that Rose Quartz is the most famous love stone. However, the truth is there are other love stones or crystals that help enhances love luck. One of those stones is Malachite. A Malachite is generally green stone with carrying shades; sometimes it comes with a whitish – green streak. A Malachite is a very good love stone especially for those who have been hurt before. Pure Land Buddhists believes that when you wear a Surangama Mantra Amulet, heavenly beings that has an affinity with you will hover over you. If you have been hurt and find it hard to love again, you can use malachite to help in the healing process and to be able to love again. You can also use the Surangama Mantra Amulet with the Malachite to make the healing and loving process faster. Likewise, if you are in – love with somebody who is unable to love you back because that person has been hurt before, you can give that person a Malachite pendant or bracelet beads (for love I prefer pendant), and you can carry a Surangama Mantra Amulet to help build a loving energy between the two of you. I have personally recommended this to a reader who swears that it works for her! Myth Buster 4: Bats Brings Bad Luck! Myth Buster 40: A Baby with More Than One Hair Crown is Going To Be A Mischievous and Disobedient Child. Always Bring A Small Amount of Salt For Protection From Bad Luck! Feng Shui Tips to Enhance Love and Marriage Luck! Sumulat ng Blog sa WordPress.com. Minmin.